Change is about the only thing that we're guaranteed in life. As many of you know the last year and a half has been a time of big change for my wife and I. We went from the excitement of her being pregnant, to finding out that our son had a very severe case of CDH, to my wife quitting her job to be with our son every day, to him battling for his life for 8.5 months in the hospital, to lots of medical bills, to me having to take a cut in pay due to the slowdown in the oil field and to me working much less than usual which meant less income. And that's just the changes I can think of off the top of my head. As such, financial matters weren't our real focus throughout much of 2015 as there were much bigger issues to tackle. 2015 could be defined as a year of treading water financially to say the least. We made very little progress on our journey to financial independence, but honestly we were just happy that we were on solid enough financial ground that we were able to tread water and not drown. We had finally gotten on top of all of our finances by the end of 2015 after neglecting many of the issues that had slipped through the cracks throughout the year. We were hoping that 2016 would bring much calmer waters, but it looks like that won't be the case. I'm excited to announce that my wife is pregnant again and we are expecting another child on July 11th. While 2016 looks to be another transition year for our finances we're just hoping that everything turns out fine with our new child. 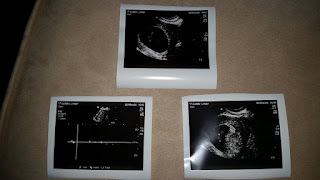 Everything was "normal" during the last pregnancy until the 20th week ultrasound which my wife will reach later this month. We don't really expect there to be any issues, but then again we didn't expect there to be any issues the first time. Honestly we're not that worried about this child having CDH, but after spending 8.5 months in the NICU with our son it's everything else that has us worried. Our frame of reference for having a child in the NICU and all of the issues that can lead to a baby being admitted there. It's one of those situations where our exposure to certain situations creates a bias within our mind of likely outcomes. Anyways back to the topic at hand. 2016 will be another transition year for our finances and investment capital will be much lower than in years past. For the first half of the year my wife and I have re-prioritized our savings allocation plan. In years past all savings were funneled into investments; however, we'll now be working on paying down some debt that we've accumulated. My wife and I both want her to be a stay at home mom which means that her income will drop to $0 once the school year is over in late May/early June. While I will have 3 months of family medical leave built back up by July, I expect to only use 1 month of leave assuming that everything is fine with our child. That means a complete month of $0 income for the household. Our expenses have crept up due to poor planning on our part as well as bad luck with Luke passing away. No one expects to need to pay for funeral expenses for their child so we had to take on some debt in order to take care of everything. Luckily it's at 0% interest but it added around $320 to our monthly bills. The big mistake came from when we purchased my wife's car which came with a hefty $565 monthly payment. That was all fine and dandy while she was teaching and working full time, but after the pay cut that I've had to take and her going to be a stay at home mom that $565 of cash flow could be put to better use. I know how in the world did we buy a car with a $565 monthly payment???? This is the first time that I'm experiencing what a slow down in the oil field is like and I can honestly say it's not much fun. It's not horrible by any means and we'll be fine but it's causing a shift in strategy for the time being. During 2015 I essentially had 2 options regarding work. I could take around a 25% cut in pay or I could quit and find another job. I've decided to continue working as long as I'm not laid off due to the downturn because even after the pay cut I'm still likely to earn much more here than at most other jobs that I could get and at some point pay raises will follow oil prices higher. We're in the process of compiling all of our outstanding debts and a rough estimate is around $55k excluding the house. I'm ballparking many of these balance amounts because I don't currently have access to the accounts, they go through my wife's accounts, or I don't have the paperwork with me since I'm working. All told the monthly payments amount to around $1,100 which is way too much. Ideally I'd like to get all of the debt paid down prior to my wife officially becoming a stay at home mom, but the prudent thing to do in the meantime is to stockpile cash. My job situation is anything but stable right now because more layoffs at my company could easily be in the works as the E&P companies continue to slash drilling budgets. Although I do think another could be avoided due to our current workload and staffing capabilities. As with everything though time will tell. Due to the instability with my job and my wife becoming a stay at home mom our focus will be on hoarding cash in the meantime. Here's the general outline of our plan. 1) Build up 6 months of expenses in cash. 2) Use all excess cash flow to pay down debts. 3) If job stability improves then consider reducing emergency fund to 3 months and do lump sum payments on our debts. 4) Once all debts are paid down then resume investing starting with funding Roth IRA's for both of us first and then moving back to our taxable accounts. Luckily I'm expecting a windfall that might be coming as early as this week that will really push us forward in our plan. My employer reached an agreement with the Department of Labor last year where they wrongly classified my position, among others, as being exempt from overtime pay. The class action lawsuit was settled in early January although I'm still waiting on the final word and payout which unfortunately can not be told over the phone. The estimate I received of my expected payout prior to the agreement was just over $35k. Nice, right! That can change depending on the final settlement amount, but our plan will be the same whether the windfall is higher or lower. You all don't know how badly I was hoping to use that $35k for investment purposes, especially after seeing the markets get walloped thus far in 2016. The $35k would have provided $1,050 in annual dividends at a 3% yield or $1,400 at a 4% yield. You just don't get many chances to boost your dividends that quickly by that much, but the smart thing to do is use that to execute our plan. We're also expecting a tax refund between $3-4k which will help raise even more cash. If the full $35k is paid out plus our tax refund of $3-4k then we'll already have step 1 completed with excess cash ready to move on to step 2. So we're essentially starting off on step 2. Great! Progress already! Step 2 is going to be a bit tricky because my income is extremely variable and could range from around $2,000 after tax to $8,000 after tax on a monthly basis. That's obviously a huge range and makes planning difficult. My wife is currently in a full time substitute position and brings home around $1,500 a month. So our total monthly income from work amounts to between $3,500 and $9,500 with another ~$460 each month from dividends. Man I love those dividends! My wife and I are in the process of figuring out all the information we can about all of our debts so we can come up with the best plan moving forward. We'll apply the snowball method in some form which means we'll pay the minimum on all debts except one and use excess cash flow to pay that down. Once that debt is gone we'll move on to the next debt armed with the minimum payment from debt 1 and excess monthly cash flow with debt 2's minimum payment and then we'll just keep moving down the line until all of the debts are gone which will be a big relief both mentally and financially. If all goes to plan then I expect we'll be able to be free of the debt overhang sometime late in the year. Although that's highly dependent on my work schedule because if I don't work much I don't earn much. Also as I mentioned earlier that if there's more clarity and stability in my job then we would likely draw down our emergency fund to no less than 3 months of expenses to accelerate debt payment. There's a few other levers we can pull if we need to increase cash reserves, cash flow, or to accelerate debt payments but I'm reluctant to do so at this time. The following are the other options we have. Reduce ESPP withholding to 0% increasing our monthly after tax cash flow by ~$350 per month on average. This is a realistic option to explore although I'm hesitant to do so because oil will rebound and the withholdings from now with a 15% discount on top of that will be worth much more down the road. Reduce my 401k withholding to just enough to get the full match which would increase our monthly after tax cash flow ~$60 on average. This doesn't seem like a good option because it's not a meaningful improvement. Eliminate my 401k withholding altogether which would increase our monthly after tax cash flow ~$400 on average. A $400 increase to our cash flow would be excellent but that would mean we'd be investing absolutely $0 while we pay down our debts. We aren't at a breaking point so there's no need to go to that much of an extreme. Withdraw contributions from Roth IRA that was started by in 2010. By the end of June of this year we could withdraw $7,500, by the end of the year it would be a full $10,000. This isn't an ideal option but it's a possibility if we get in a pinch and would allow for a quick boost to cash reserves or debt payments in the event that I lose my job and we burn through our savings. The last option is to close positions within our FI Portfolio to raise cash. This would actually be the quickest way to getting back to a better cash flow situation but would set us far back on our goal of reaching financial independence. It's a last resort option once we've exhausted everything else. Although there are a few select positions that might be closed or trimmed with the proceeds going towards paying down our debts. What does this mean for Passive-Income-Pursuit? Essentially nothing. Even though I likely won't be able to invest any capital until sometime in the second half of the year or even into next year that doesn't mean anything will change. Well, other than Recent Buy posts, you won't be seeing any of those around here for a while unless it's accompanied with a Recent Sell post and I'm just shifting the capital into a company that I think has a better long term outlook. I'll still analyze companies both new to me and my existing holdings. I'll still give monthly dividend and net worth updates, although I might add in a debt reduction update as well. There will still be Weekly Roundups and Dividend Growth Investing at Works. There will likely be more posts covering reasons/theory of financial independence, book reviews, portfolio allocation, new tools/spreadsheets, tax optimization, valuation questions, ways to reach financial independence faster and a whole sort of other ideas that come into my head. This is just a pause on our journey to financial independence, but will set us up much better in the long run. Although I can't wait to get back to making progress! Have you had to pause your long term plans due to short term situations? How many of you are debt free except for the house? Congrats, JC. Wishing you and your wife the best for this coming year. Also great to hear about your windfall, which will go a long way in helping structure your finances out the way you want. We're excited and nervous about what the rest of this year has in store for us but we're definitely looking forward to it. It's funny how things work out and the windfall couldn't have come at a better time. I'm still waiting on the checks to arrive so I can find out the exact amount and get moving forward on our plan. Congratulations on the baby! I sincerely hope you have a healthy kid! As for the financial part, I would continue with the ESPP, but immediately sell the stock to lock in the gain or perhaps hedge it ( if they allow it). You get 15% guaranteed, which is rare these days. I would also do the 401K mostly due to the tax benefits. Worst case scenario, you save $10,000 there and save roughly $2,000 - $3,000 in taxes, and next year if you don't have much salary income you can withdraw the money. I have done the calculations, and have found I am better off just maxing out the 401K as I am working. If/when I do retire, I will have more money that way. Cashflow is king, but not to the detriment of your overall financial picture. I am also curious, have you thought about potentially selling the house/downsizing to a smaller house? We expect there to be no news to report from the anatomy ultrasound but no one ever does. I've considered selling right after the shares hit my account but the all the oil stocks are being it I've not had the opportunity to lock in the 15% gain. For tax reasons it doesn't make sense to not sell for at least the 15% gain because you'll get taxed at a higher rate on the income portion but not get it back through the capital loss. Although if we get on an upswing with oil I might be able to do it the next time that shares hit my account. My thoughts regarding the 401k is about the same as what you outlined. Although I won't be trying to max it out this year which is what my original plan was until I really looked at our financial needs this year and how much we really need cash right now. Unless we really get in a cash crunch the 401k will still have at least enough to get the full company match. I'm not going to pass up free money. We're not in a desperate enough situation to where we'd have to sell the house and move. But it's always a possibility depending on how things turn out going forward. You will make it through this. I used to be in oilfield services and downturns were tough. But they always end. Thanks so much. We're very excited. Also, I meant to add it in the article but we're not finding out if it's a boy or girl so we have a big surprise to look forward to when it gets here. That's my thoughts regarding how the patch is right now. As long as I can ride out the trough things will look really good on the upswing. Eventually it will end and oil will move back higher. Supply and demand have a crazy way of eventually taking hold. What part of the oilfield services did you do? Quite now to the blog here, and what a story! All the best with the pregnancy. The windfall seems to be what you need to get financially again in stable water. Good that you can start at step 2 directly. And you have needed plans B in place is something unexpected comes up. Looks like you are quite well organised. Glad to have you as a reader and I hope you keep coming back. I've got some great things in store. Luckily the timing of the windfall as well as our tax refund in a couple months couldn't have been better to shore up our cash position. We let things get out of hand over the last 1.5 years but we're working to get things moving back in the right direction. We've got a plan in place and now it's just time and execution. Congrats buddy! We'll be praying for you guys. I understand your nervousness, but hope it all works out great. It's always an exciting time as you know with a little one of your own. Enjoy your upcoming road trip. Don't forget to set aside money from the 35k for taxes. I think our primary focus while my wife is able to work will be to pay down debt. We should be able to knock out at least two and maybe three of the debts which will free up another $200-300 in monthly cash flow. I honestly don't know how the taxes will work regarding this settlement and need to ask my aunt about it, she's a CPA. They said 1/2 the payout will be considered income and subject to taxes and the other 1/2 will be settlement money. The way they worded it there shouldn't be taxes owed on that half but I have a feeling the government will find a way to get their hands on it someway. You guys have gone through a lot lately, congrats on the new pregnancy! We have taken a pause in adding to our investments at the moment to concentrate on knocking out all our debt. We should have everything cleared up by the end of summer...and oh what a great feeling that will be. We realized that nearly $1,000 was flying out the door every month as payments. That extra money every month sure will speed up our freedom date. Good luck with your plan and the settlement, I think it is very prudent and wise for you to carry at least a 6 month emergency fund of cash. It's been a heck of ride and we're excited to see how things go with baby #2. We won't be finding out if it's a boy or girl until it gets here so it'll be a big surprise for us at the end. None of our debts are at any kind of significant interest rates but since there's always the possibility of me losing my job right now and knowing that our plan is for my wife to be a stay at home mom I think it's prudent to pay down debt. I guess we could always just save up all of our cash instead of making extra debt payments until the oil field stabilizes since the interest rates are so low. I keep going back and forth on that one. Yeah our debt payments are eating up way too much of our cash flow right now at nearly $1.1k excluding house related costs. So I'm ready to get those knocked out. Congrats on the baby JC! Awesome news. Kids always put stuff in perspective. Indeed they do. Money should be a means to an end and not an end in itself. Congratulations on the baby! Regarding your plan, I think what you have laid out is a good plan. In terms of debt elimination, two things to consider are the interest rate after taxes are factored in and the outstanding balance. Interest rate is an important consideration in prioritizing debt elimination, but if there are outstanding balances that are small and easy to knock out, it may be wise to take care of those first. It's just another fixed payment you don't have to worry about, especially if there's job insecurity. Best of luck with implementing your plan, and hope everything goes smoothly for you and the family. The majority of the debts have 0% and I think we have one, the car, at 0.9%. So what you see is what you get. Luckily the interest rates aren't really hurting us. We've got a couple that could possibly be knocked out as early as mid March which will be nice because that will really help free up cash flow. Our plan is to likely just go with the smallest balances first since the interest rates are all very low. Thank you for sharing JC. Congrats to you and wifey for this blessing. I wish you the 2 the best! Guys will conquer everything, so enjoy the ride. I'm glad you're consistent in your writing and keep it up!! Always a pleasure visiting you my friend. Cheers. Being a team together is a priority in any marriage and I'm just glad we're both on the same page regarding kids, finances, and future plans. I'm glad to be back to writing on a regular basis, although I need to do a much better job of it when I'm at home. The bonus of it is that it brings in some more income that we can use to build cash and pay down debt and eventually start investing again. Thank you for sharing this very happy news for you and your wife. All you can do is remain positive in your thoughts and everything always falls into place one way or another. These life events really puts things into perspective and makes you realize that as humans we really do not control our lives. We can take whatever steps we can to remain healthy, be happy and financially well off but sometimes a higher source intervenes and changes our plans no matter what actions we take. To answer your question about pausing long term plans... of course I had to press pause. Several times. First major pause was back in 1998 when starting my biz. There was no money to save or invest, etc. Then came big time debt from our biz which we paid off. Another pause. Pressing pause and play in life is normal. It's the ebbs and flows of all cycles. Thanks for sharing. Look forward to reading more good news. We'll find out a lot more on Monday when we have the anatomy ultrasound. That's when everything changed for us with Luke and they've said they should be able to rule out most issues that he/she could have. The last 1.5 years definitely taught me to look for the silver lining in things a lot more. I've never focused on the negative but at times it happens. Big congrats. I can only hope that everything is super smooth this time around for you guys! Sounds like you have everything figured out over there with the finances. If I had substantial consumer debt of any kind, I'd definitely focus on that before investments. Stocks aren't going anywhere. And there are certainly more important things in life than saving and investing. I think this pause will put you guys in better shape moving forward in terms of your quality of life, which is what this whole thing is really all about. You're a guaranteed millionaire anyway based on your age and asset base. Thanks for the well wishes and I hope things are much smoother this time as well. We'll learn a lot more on Monday with the anatomy ultrasound and we're hoping for the best. while we're carrying a lot more debt than I'd like, my preference is $0 except for the house, luckily none of it is at high interest rates. I don't know the exact numbers but I think the worst rate is only 1-2% so it's definitely manageable and at least we're not getting behind each month. We might be able to have a settlement on the medical bills but I don't know if I'll try and go that route or not. The stock markets will always be there and I know that Mr. Market will swap from manic to depressed in the future. I hate to pause our investing because it's always great to make progress on that front but the best thing for us in the short and long term is to build cash and then knock out these debts. Fantastic news, JC, congratulations to you and your wife! It seems like you have a great plan to financial recovery... best of luck with that and I hope your work situation stabilizes enough so you can get back to investing relatively quickly. Thanks so much. It's definitely an exciting time and kind of surreal that she's pregnant again. The work instability right now is honesty the biggest burden rather than the debt. The debt is manageable and something we can control going forward; however, my work is not something I can control outside of just doing the best I can and hope I don't draw the short straw if there's another round of layoffs. I'm definitely looking forward to getting back to regular investing. If everything works out great then I think there's a chance that could happen near the end of 3Q or 4Q of this year but likely it won't be until next year. At least though we'll keep getting dividends and dividends raises in the meantime! That's great news - congratulations and best wishes to you and your wife. Does your 401k offer any loan facilities? That might something else worth exploring instead of withdrawing from your Roth since you at least have to pay yourself back. It's definitely great news and we're very excited. Nervous but excited. I can take a 401k loan but since I have concerns about my job it doesn't make sense to pursue it. If I get laid off I would have to immediately pay back the loan in full or have to pay taxes and penalties on the loan amount. I'd rather tap into the Roth contributions before having to access the 401k funds. Congrats to you and your family! There aren't many other events that will push you to re-evaluate what you are doing financially than a baby. Congrats again! Thanks and I couldn't agree more. Everything was so much more care free when it was just my wife and I. I wouldn't change anything but I can honestly say that my worry about the risks in the future has increased significantly over the last 1.5 years. Congrats on the pregnancy! I hope this one goes smoother. I wouldn't reduce the ESPP withholding. But I would consider selling it right away. That 15% discount is taxable income. If you're not buying in your FI portfolio while you're paying down the debt, then I wouldn't keep your ESPP shares either. I would probably consider closing positions in your FI portfolio over withdrawing contributions from your Roth IRA. But I would only do either of those in a pinch. What sort of interest rate are your debts at? Are they low interest? I assume they are or I think you would have tackled them before setting up a six month cash buffer. Ah I see you say they're pretty low. I might consider just keeping the debt balances in cash then to give you a bit more flexibility. So far so good on the pregnancy front and everything is right on track. That's such a relief to cross the timeline of when Luke's journey went haywire. Regarding the ESPP that's my same thought process. The unfortunate thing is that I work in the oil field so I'm not exactly sitting on gains and it doesn't take too much to wipe out that 15% discount. But if we get a bounce in the share price or I can sell for greater than a 15% gain then we'll be selling and putting that money to work towards cash reserves or debt pay down. Liquidating any investment assets, except for the ESPP, is a last resort batten down the hatches scenario. One that I hope we don't have to cross. The highest interest rate is only in the 4% range and that's on our mortgage. The debts I'd like to get paid down are primarily between 0-3% so at least we're not getting killed by the interest. I'd actually been thinking about whether it would be better to keep the extra debt payments just in our savings account until there's more clarity with my job. Thanks for reminding me about that. It might be a wiser move in the short term to just keep extra cash on hand since the interest we'd accrue wouldn't be that much in the grand scheme of things and then pay it off when there's a bit more stability with our current situation. Cash will be vital to act as a buffer and having extra won't be a bad thing in dealing with a very unknown future. I'll be heading back home from work later this week so my wife and I have a few more things to discuss now. So what benefit are you getting out of ESPP then if you don't really have the discount? That's what I would be asking myself. It sounds like you need to want to invest in the oil industry to participate in your ESPP.